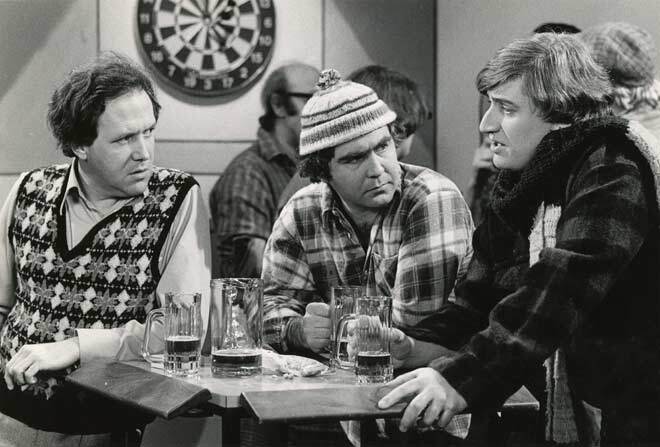 The satirical television show A week of it closed each episode with a skit depicting three Kiwi blokes slouched round a bar leaner at Auckland's Gluepot Tavern. The characters are, from left, George (played by David McPhail), Gary (Chris McVeigh) and Wayne (Jon Gadsby). Every week Gadsby's dimwitted character said something that provoked other characters to reply, 'Jeez, Wayne!' The exclamation became a national catchphrase.